I would like to apologize to our website visitors for not updating the site more frequently. The site was created when I thought I would be retiring soon but the U.S. economy and our political mess forced me to change my plans. I can now, however, state that I officially retired from USGS Geological survey on the 30th of September. The next day the government shut down. I had no idea they couldn't run things without me but I'm not going back. Jim is nearing completion of his CB77 racer. See the in the news for recent a recent update and pictures. 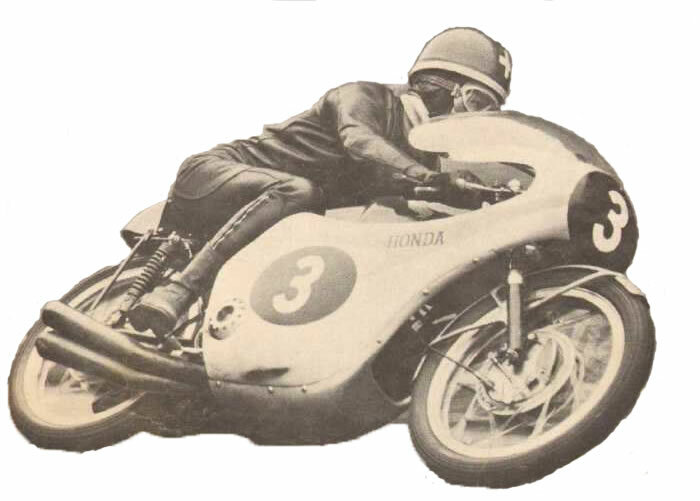 This site is dedicated to those glory days in the 1960's when Honda was "a groovy little motorbike" and "more fun that a barrel of monkeys". The big Honda was a 305cc or later a 450cc and the local Honda shop was a place you could stop by anytime just to say hello or swap the latest stories. Santa Clara Honda was a real shop back then and we worked there but spent most of the time laughing and having fun with the bikes we loved. The purpose of this site is to recapture some of the fun of those days by discussing those great old bikes, offering technical advice, and swapping information and stories. If you ever owned a 60's Honda or are interested in them send us an email. If you ever visited Santa Clara Honda, especially if you ever worked there, we'd really like to hear from you.